The World's Columbian Exposition Commemorative Half Dollars are widely accepted as the first U.S. commemorative and the first in the widely collected classic commemorative series. However, some argue that the 1848 CAL. quarter eagles were really the first U.S. commemoratives. The Columbian Exposition Half Dollars were also the first United States coin of regular issue to depict an actual historical person, Christopher Columbus. The silver used to coin many of the Columbian Half Dollars came from the melting of then uncurrent coins which were pulled from circulation and held by the Treasury, many of which were half dimes last minted in 1873. 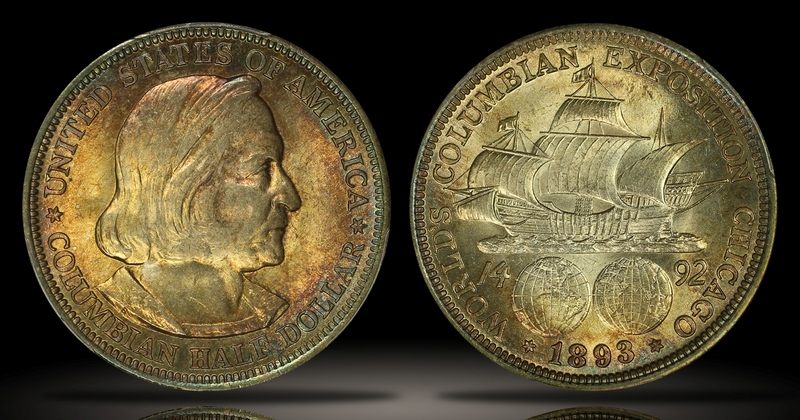 The Columbian Half Dollars were minted for two years, 1892 and 1893. 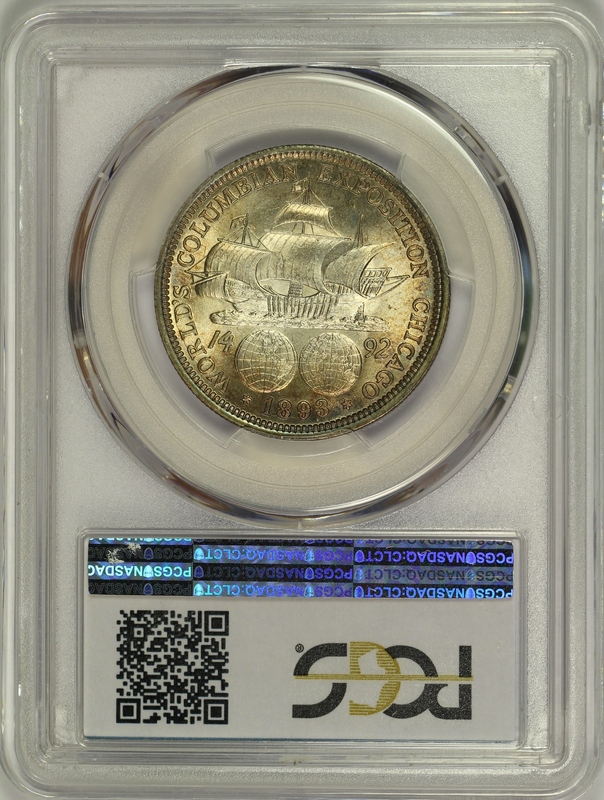 This example is an 1893 Columbian Half Dollar which has been graded MS66 by PCGS and is encapsulated in one of the newer-style edge-view holders. 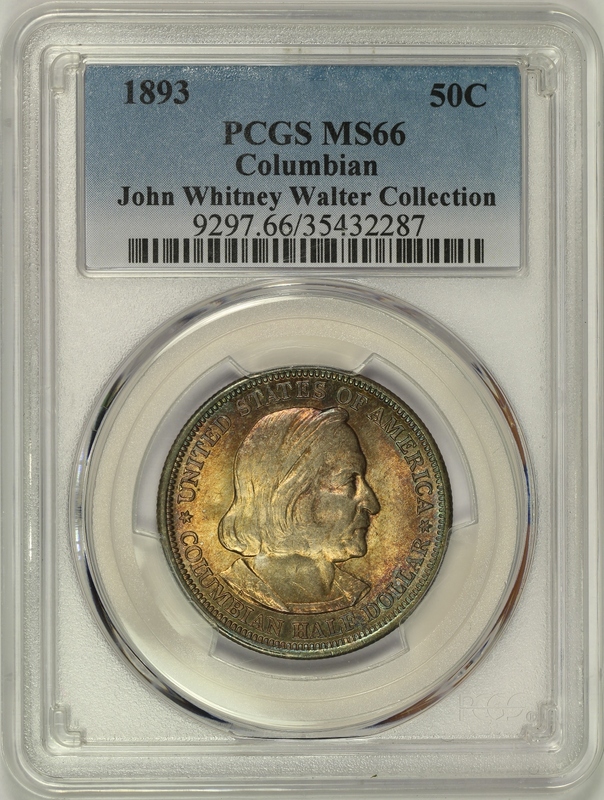 This coin has beautiful colorful toning which fully covers the obverse and is concentrated along the reverse rim. The luster is strong and there are just a couple of tiny marks that can be found after a very close look. 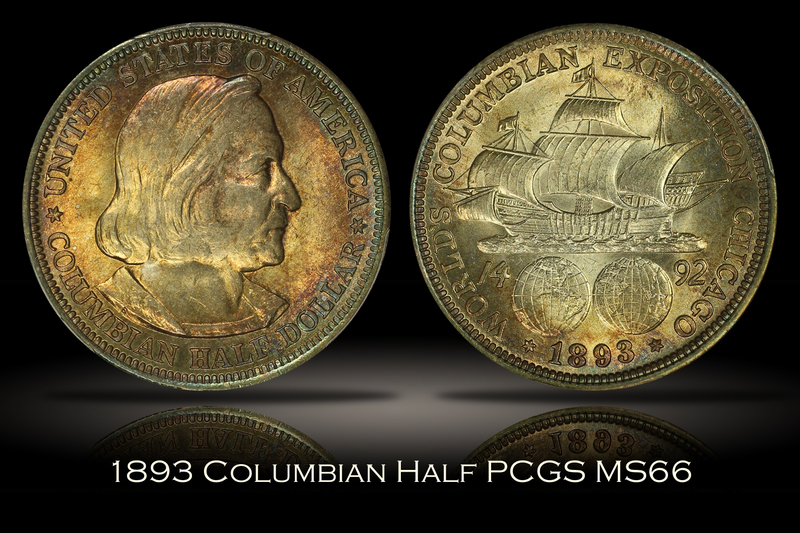 An amazing example of the Columbian Half Dollar with strong eye appeal.